This past May, at the 6th International Conference on Nonlinear Science and Complexity held at the National Institute for Space Research (INPE) in São José dos Campos, Brazil, Dr. Mark Edelman, clinical associate professor of physics at Stern College for Women, won the Zaslavsky Award. The award is given every two years in recognition of accomplishments in nonlinear science and complexity. It takes its name from George Zaslavsky, who, according to the website ResearchGate, made “fundamental, original contributions on physics of chaos and fractional dynamics.” Zaslavsky died in 2008. Since 2009, Edelman has been teaching various physics courses and supervising student’s research at Stern College while continuing his own research into on fractional dynamical systems and systems with power-law memory. Systems with power-law memory include biological systems (including individual neurons), viscoelastic materials, and so on. 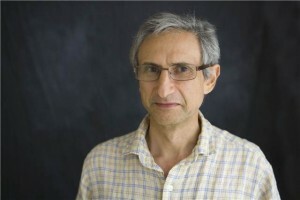 This research had been proposed by Zaslavsky, with whom Edelman collaborated at the Courant Institute of Mathematical Sciences at New York University from 1995 to 2008, working on descriptions of nonlinear dynamics by fractional differential equation. The major discovery of Edelman’s work in this field is the universal cascade of bifurcation-type behavior of nonlinear fractional systems. In regular dynamics, transition to chaos occurs as a result of a change (increase) in a nonlinearity parameter. Edelman showed that in systems with memory, transition to chaos may occur without any changes in parameter values or as a result of changes in memory. Edelman is the fourth person to win the award. The previous three winners are Prof. Tom Solomon of Bucknell University (Lewisburg, Pennsylvania); Prof. Ravil Nigmatullin, Kazan University, Russia; and Prof. Sergey Prants of the Pacific Oceanological Institute of the Russian Academy of Sciences.